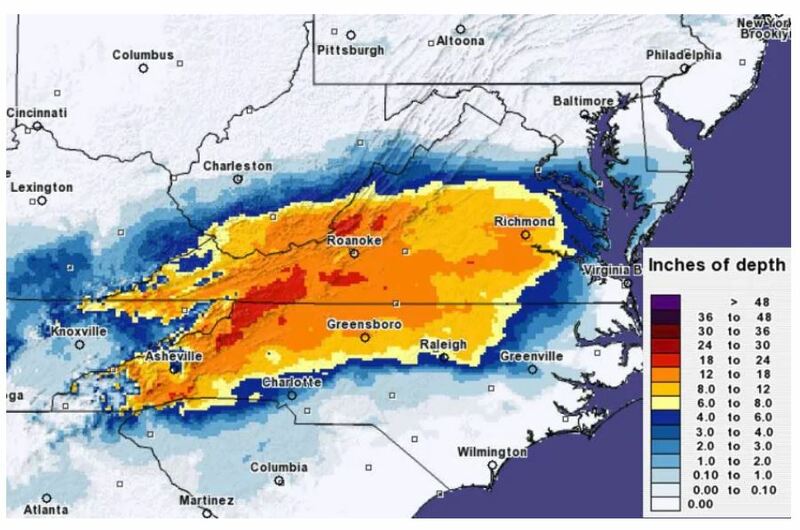 The Midwest has been sending much of their weather across the Mid-Atlantic, including unusual amounts of snow accumulations. They’ve been having record breaking events. In addition to the terrible havoc it’s created on the roads, I’m surmising that it’s also creating havoc on the flat roofs & buildings. 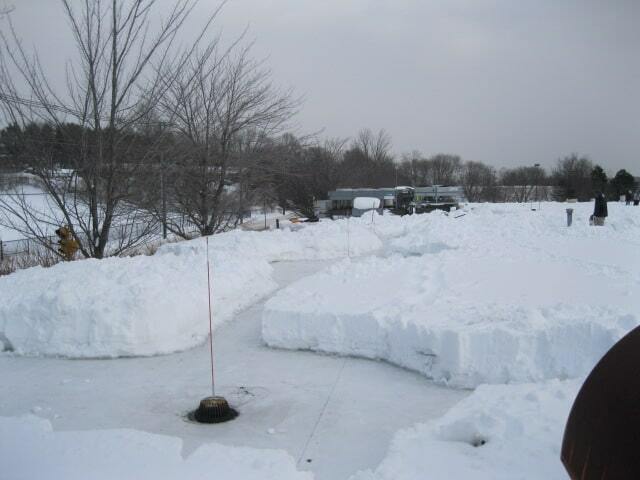 Here in New England preventative maintenance plans for flat roofs demand post-fall / pre-winter drain clearings. 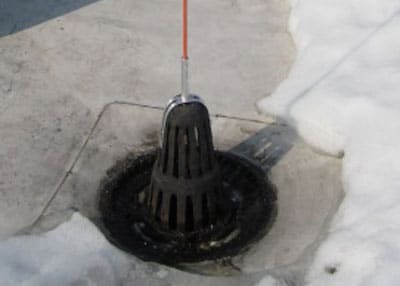 In addition to this, storms dropping better than 6 inches of snow call for for post-storm inspections to ensure the drains are moving the water off the roof as intended. 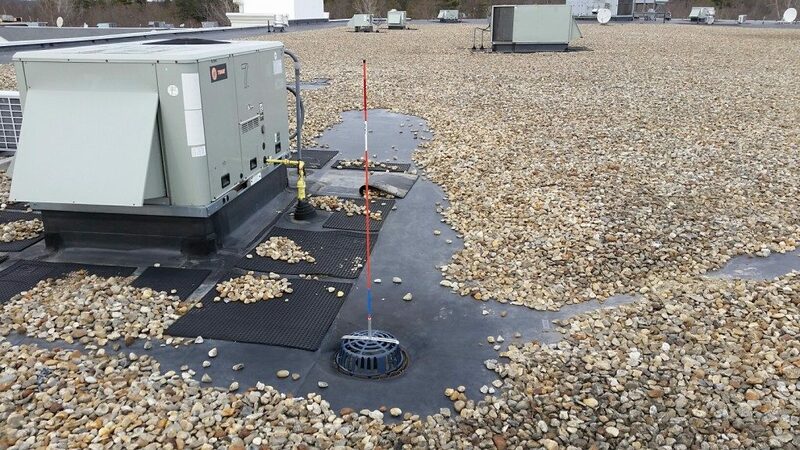 As all facilities managers know, ponding water on a roof means trouble of all sorts. As asset managers know, trouble means cost, repairs mean money spent. Most of us can relate to that yearly chore of clearing out the gutters on our home. Now imagine your roof is flat, and there are drains scattered all across it where leaves and debris gather as they get caught up in the flow of draining water. 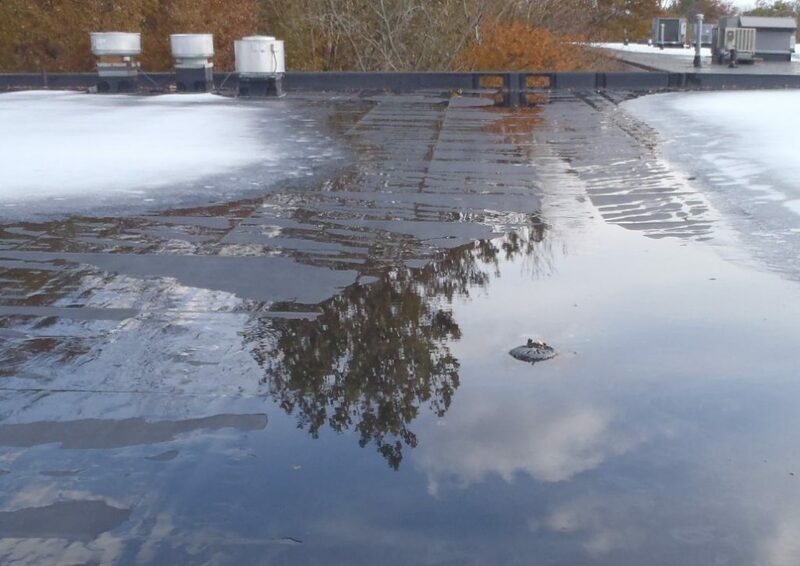 If those leaves & debris are not removed, and melted snow is not allowed to drain off the roof as it’s supposed to anything from roof leaks into the building to a roof collapse can be imminent. 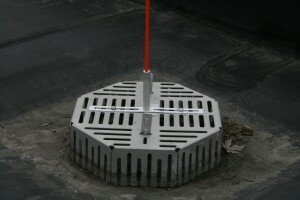 Marking roof drains to enable quick identification of them in any weather condition is a must. There is no doubt or question in the matter. It’s a no brainer. It enables maintenance personnel to quickly identify the drain’s location, and ascertain that it’s clear and draining efficiently. It also helps keep the maintenance personnel safe. Being on a snow covered roof can be disorienting. 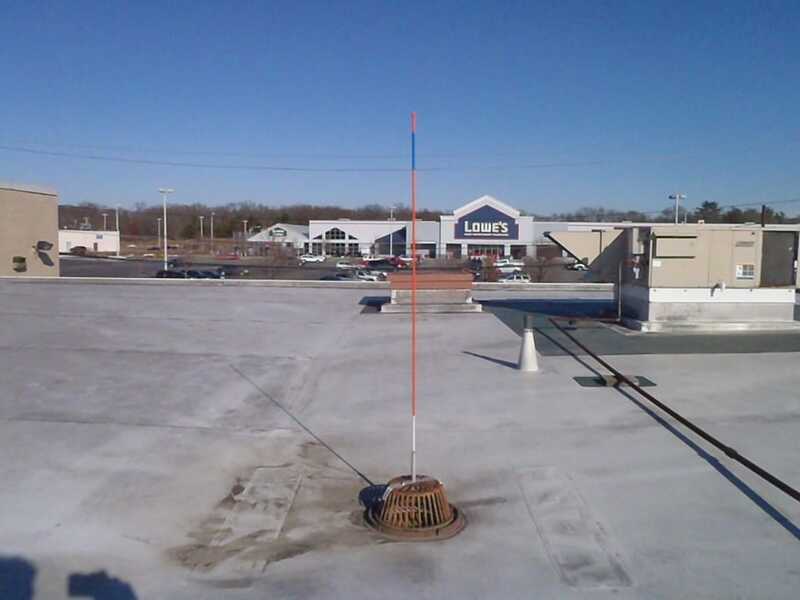 Quick identification of the roof drain locations means a shorter amount of time spent on the roof to get the job done. 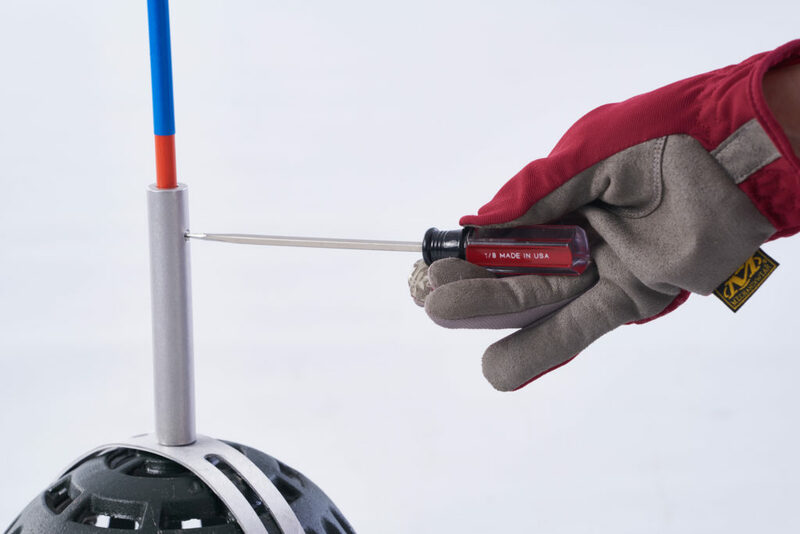 Distinguishable ends on our markers allow for easily marking a problem drain. 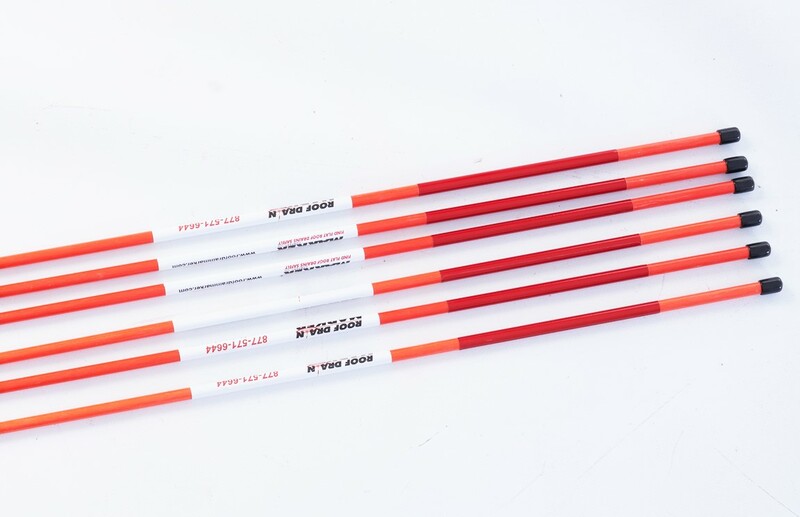 By reversing the direction of the marker it’s easily identified from the rest. 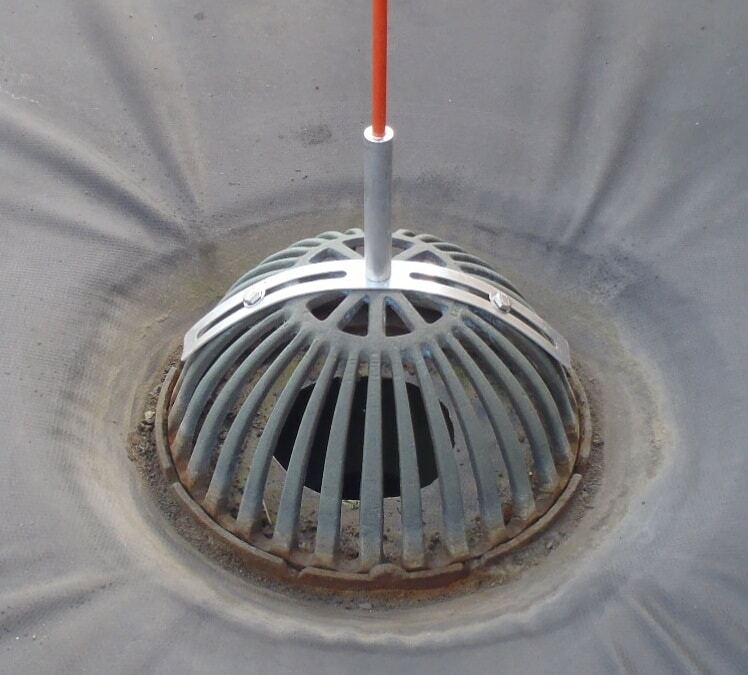 Reversing the direction of the marker upon cleaning the drain can also allow a quick visual on a large roof ensuring none were missed. See below for some recent snowfall totals in the Mid-Atlantic. To our customers in these areas, we salute you. 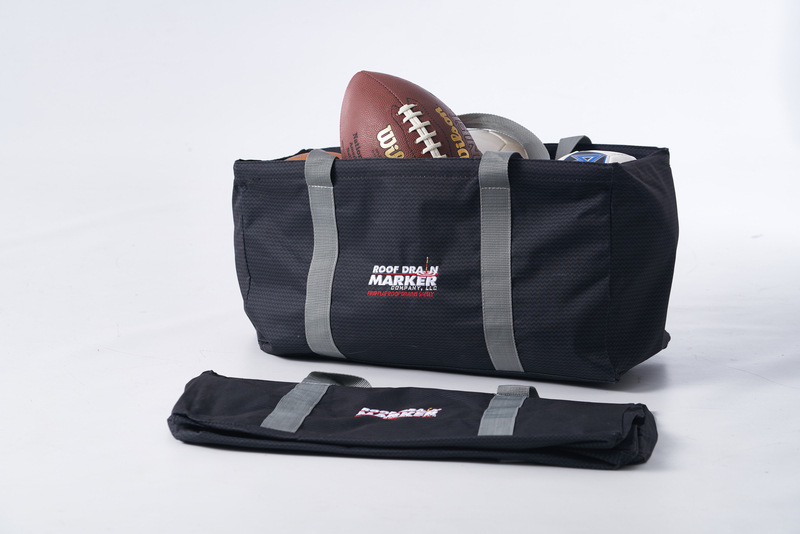 We know it must also bring you great pride in acknowledging a risk management job well done. We’re happy to be in this with you.